First , need to iterate all the folders that been shared by windows PC. so that it would simplify thing a litle bit. then on at terminal . next, got the directory and all. 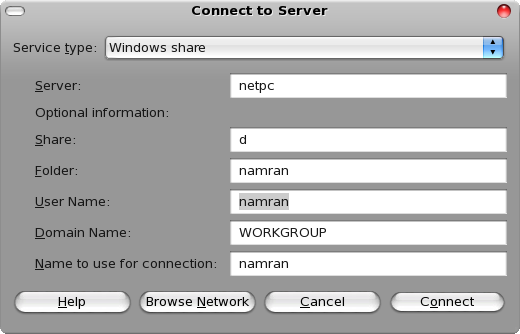 -> select the windows share.enter the detail. 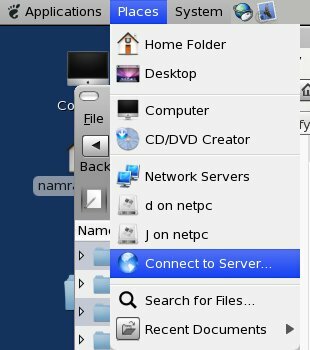 it will then create an icon at Desktop which you can link and open it up in nautilus like a normal directory. then copying thing is just matter “drag and drop” stuff into that box.